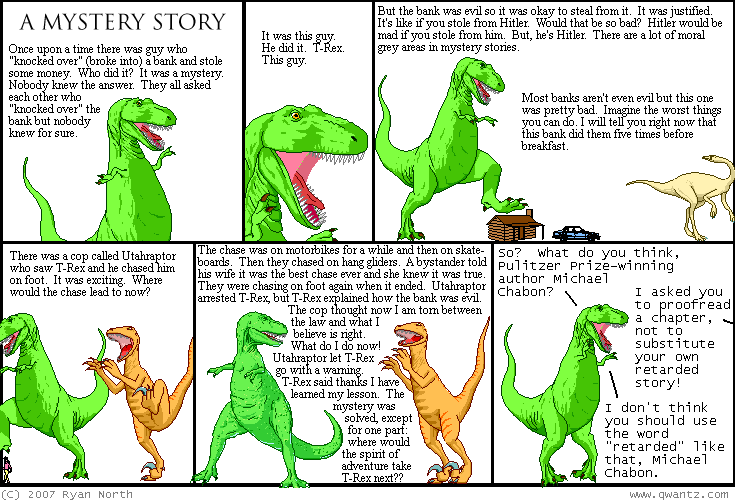 Dinosaur Comics - October 3rd, 2007 - awesome fun times! October 3rd, 2007: I meant to link to Simulated Comic Product by Kevin Forbes, a fellow Canadian! He's written a program called Boxen, which is a handy little app for quickly laying out comic pages. You might find it useful! Also I am currently about 3 weeks behind on mail, so if you've emailed me and haven't heard back, that's why! One year ago today: Your search - "dudes forsooth" - did not match any documents.